ogan Vittorio's life is torn apart when his bride of eight months desserts him without so much as a farewell note. 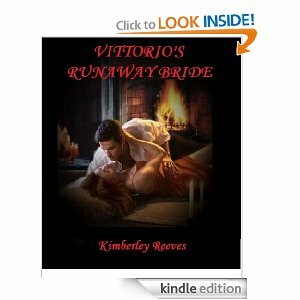 Now he is on a mission to find Shelby and unravel the mystery that led to her hasty departure and to bring his runaway bride back home where she belongs. The sound of his voice swept over her like a warm caress making her shiver in spite of the afternoon heat. Shelby nodded mutely, unable to dislodge the enormous boulder in her throat. It didn’t help that he seemed at a loss for words too, or that his fathomless dark eyes held her spellbound and breathless making it impossible to form a single thought other than how much she still loved him. She was still gazing up at him when something in Logan’s expression suddenly shifted and Shelby hastily looked away. She’d forgotten how easily he read her emotions. “You shouldn’t have come,” Shelby said, hating how feeble her voice sounded.